Carbon monoxide (CO) is deadly. It is a colorless, odorless, tasteless and toxic gas. Nicknamed “the silent killer”, it is totally undetectable by human senses. If there is carbon monoxide (CO) in the air you breathe, it will enter your blood system the same way oxygen does, through your lungs. Carbon monoxide (CO) then displaces the oxygen in your blood. When the carbon monoxide (CO) displaces enough oxygen, you suffocate. Since carbon monoxide is released when fuels don’t burn properly, any fuel-burning appliance, vehicle or tool that is not correctly vented or maintained can be a source of deadly carbon monoxide (CO) gas. Long-term exposure to low concentrations of carbon monoxide (CO) can gradually build up in the blood causing flu-like symptoms such as headaches, fatigue, nausea and drowsiness. Exposure to high concentrations of carbon monoxide (CO) will cause throbbing headaches, breathing difficulties, confusion, loss of consciousness and heart problems. 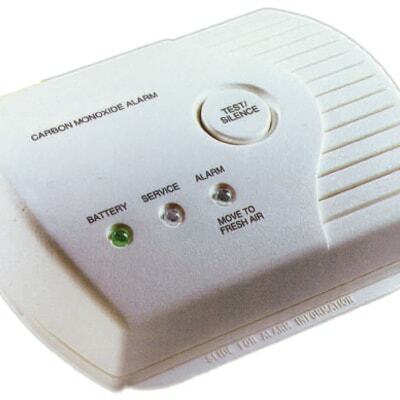 Symptoms of carbon monoxide (CO) poisoning are so common, they are often misdiagnosed. As a general rule, carbon monoxide (CO) poisoning should be suspected if more than one member of the family becomes ill (including pets) and if they recover after being away from the home for a period of time. Senior Citizens, infants, young children, pregnant women and people with breathing or heart problems are at the greatest risk of carbon monoxide (CO) poisoning. Have home-heating systems, fuel-burning appliances, flues and chimneys inspected, cleaned and tuned-up annually by a qualified person. Visually inspect fuel-burning appliances regularly. Do not use fuel-burning equipment inside unless it is properly vented. Do not operate gasoline-powered engines in confined areas such as garages or basements. Never idle cars or trucks inside a garage. During and after snowstorms, make sure home vents are clear of snow build-up. Never use gas ovens and ranges to heat your home. Do not use kerosene or propane space heaters, they are illegal in New York City.